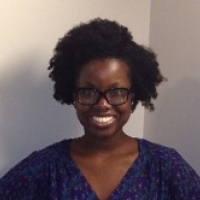 Hi, my name is Alvina Acquaye and I am a Licensed Professional Counselor (LPC). I have experience working with patients dealing with life threatening illnesses and working on ways to help them manage their symptoms and maintain some type of balance in their life. I have also done work in individual, family and group therapy sessions in inpatient and outpatient psychiatric programs, working on ways to piece someone's life back together so they can get back to a person they recognize and can motivate themselves to an improved view of who they are and the world around them. I have experience working with clients on anxiety, depression, relationship conflict and self-esteem issues. My counseling style is warm and interactive. I want to provide the best level of care to my clients and also provide a challenge in helping you be the person you want to be. Sometimes we need a little tweaking in our daily routines to get us back on track. I realize that in life we get overwhelmed by situations that are unexpected and out of our control and my job is to teach you ways in being present and working at things that are manageable for you. My approach combines cognitive- behavior,humanistic and psychodynamic counseling. I tailor the approach specific to your needs. It's a big step to make when you are used to certain things so I applaud you for taking this next step in wanting to make a change that leads to a more happier and fulfilling life for you. I look forward to working with you. She listens to what I say and she takes time to offer advice and a different perspective on my problems. Alvina has been really helpful. She’s been great at understanding my concerns and suggesting practical ways to tackle my anxiety in everyday life. I have been working with Alvina for several months, and she has been an excellent guide on my journey towards mental wellness. Alvina is great. She is a great listener and helps me find my own way. I was quite skeptical about BetterHelp in the beginning, but with Alvina's help and support, I improved within a few weeks a lot. She is compassionate, shows a lot of empathy and a deep understanding. It helps that someone is there, who listens and who leads you trough the tough situations life sometimes put you in. Alvina Acquaye was a tremendous help to me at a time when I was very confused and distraught about some life decisions. I reached out to BetterHelp to seek guidance from someone who would be objective and help me get some clarity in my life. I'm eternally grateful that I was matched with Alvina. She's been open, receptive, comforting and non-judgmental through our time together. She's been an amazing sounding board and has offered advice and tips that have allowed me to be a better happier me. What I particularly like of this service is that I can go back and read through our many written sessions and see my progression. That's been such a valuable asset. I've already recommended this service to others.Thank you for your invaluable counsel! Amazing counselor. She has given me so many coping techniques. Alvina has been critical in helping me move through some difficult times. She's been very thorough and understanding. She's great at coming up with many ideas that you can work with, to find what's right for you. Alvina's been great so far. I have only been with Alvina a short time but in that time she has given me some great tools to be able to deal with my current situation. She always replies quickly and is easy to talk to . Very attentive. Answers your questions and is supportive. Excellent advice. Alvina pinpoints each of my concerns and gives great strategies to deal with each one piece by piece. She asks the right questions to get me thinking and moving forward. Alvina has been really helpful for me as I'm starting to process some of my more inner/deeper/darker thoughts. I've found it very helpful to just write out my thoughts no matter what they are and she's been able to find a commonality in the thoughts and provide excellent feedback to guide me. She's been able to provide helpful tools and insights that in a few short weeks have started to shape my thoughts for the better. I'm very appreciated of this. Alvina was simply wonderful. She helped me better the issues I began therapy with and helped me discover underlying issues that were hidden away. She not only made me feel welcomed and cared for, but she helped me understand my issues and worked with me to give me the tools to better myself. I have worked with Alvina for only 6 months, but the short time with her has been life changing. Alvina is a good listener, strong researcher for useful resources and trying her best to find solutions. I met Alvina in September 2016 on a recommendation to join BetterHelp.com from my mom. I was matched up with Alvina and thought maybe I would try out through the free trial. Honestly I wasn't expecting to gain anything from this and had the mindset that the events that were going on in my life was rock bottom and I was never going to be happy. Fast forward a month to current. Yes I said a month which means I paid for a whole month to be able to talk to Alvina more. Through this experience I feel as if my soul is a bit stronger than it was when I met Alvina. I was crying two to three times a day, I was a wreck, thank god for my son because I did have thoughts of not wanting to be alive. As I sit here typing this currently I feel more emotionally put back together. A bit stronger, and positive. A term that comes to mind is "I am back to my old self" but my old self wasn't this positive or emotionally strong. Yes I still have things that are not going perfect in my life but Alvina coached me while climbing this mountain we call life and I felt it did help me. Of course I am not to the top of the mountain yet but I look forward to seeing if I can't conquer this now, and if not I know how to find Alvina! Alvina is amazing! She is very relatable. She makes sure to let you know that your feelings are normal for the process you are going through. She shares her real life experiences with you instead of throwing text book terms to fix you. She provides ways to help the particular issue you are dealing with. Love her! I recommend her to anyone looking for personable help! Alvina Acquaye is a good counselor she asks the right questions, has the right answers, and she knows what she's doing and her heart is in the right place. She loves her job and I'm proud of her for it! She's very present and patient and understanding. The way she's able to relate and include personal anecdotes and talk through feelings is very helpful! Would you like to write a review for Alvina Acquaye? We'd appreciate if you can spend a couple of minutes to write a short review for Alvina Acquaye (LPC, LCPC). This review would be shared with Alvina Acquaye. It may also be posted in our website or in Alvina Acquaye's profile but it would be anonymous and your identity would be kept completely confidential.